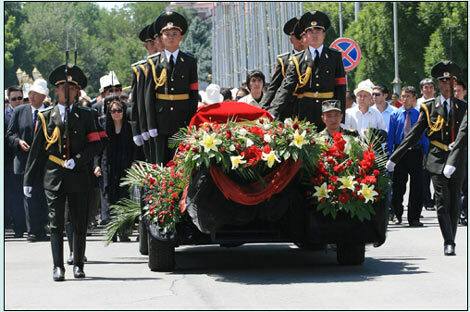 Beloved writer, Chingiz Aitmatov, was buried Saturday with great pageantry in Kyrgyzistan. The interment of Aitmatov, the classic 20th century scholar whose works were translated into more than 160 languages and totaled over 60 million copies in print, became a true symbol of the unity of Turkic speaking peoples. 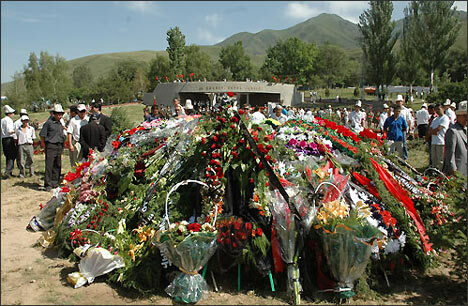 Further, this tragedy bound even closer the Kazakh and Kyrgyz peoples. Kyrgyz's contribution to world culture in the first millennium was recognized in the Manas epic. In the second millennium, the Kyrgyz’s gave the world Aitmatov. "People seek destiny, and destiny seeks people... And that's the circle of life," he wrote in The Scaffold. Indeed, the destinies of the Kyrgyz people and Aitmatov's own fate are inseparably linked to Kazakhstan. It so happened that it was Kazakh enlightener, Chokan Valikhanov, who introduced Manas to the world when he published an excerpt, Commemorating Koketai, in 1856 while another Kazakh, Mukhtar Auezov, greatly contributed to the studies of the great epic. It was Auezov who helped Aitmatov realize his potential and whose efforts Aitmatov thoroughly appreciated and respected. Defying scorching heat last Saturday, thousands assembled in front of the National Philharmonic to pay their final respects to the writer. Great numbers of ordinary Kazakhs came to show their respect and official delegations from Alma-Ata and Astana were most impressive. The Ata-Beit, the place where the great son of the Turkic people was interred, is to become another sacred site, along with Alatoo and Lake Issyk-Kul. An epic is the people's encoded past, but it is also a sealed envelope that is to be opened if one is to know the future. Manas tells the story of Koketai, comrade to Manas, who bids his son to arrange a wake worthy of his memory. 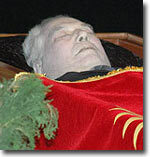 Aitmatov's funeral will be remembered as another legendary wake, something to last as long as it takes for another Manas to be composed or another Aitmatov to be born. 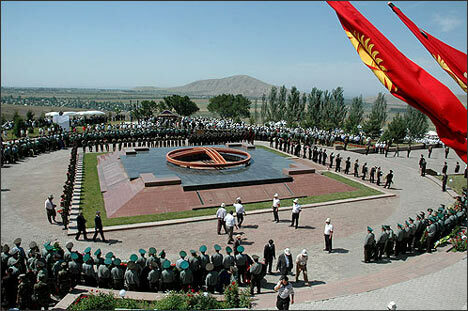 The Kyrgyz's Chot-Kazat or Great March associated with Aitmatov is over. Another begins.